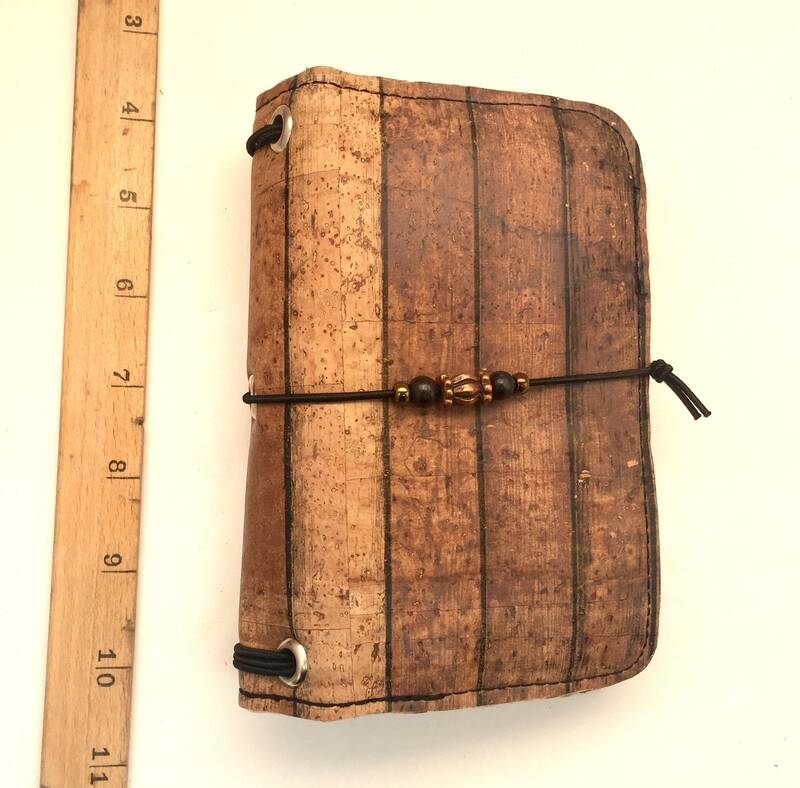 Rustic OOAK refillable cork notebook, feild notes size with cork fabric. 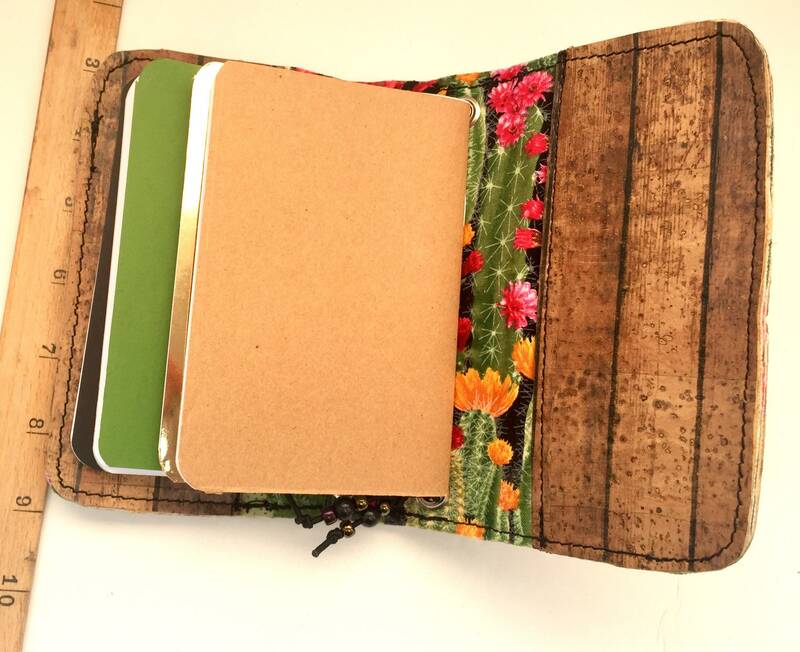 Inserts included! 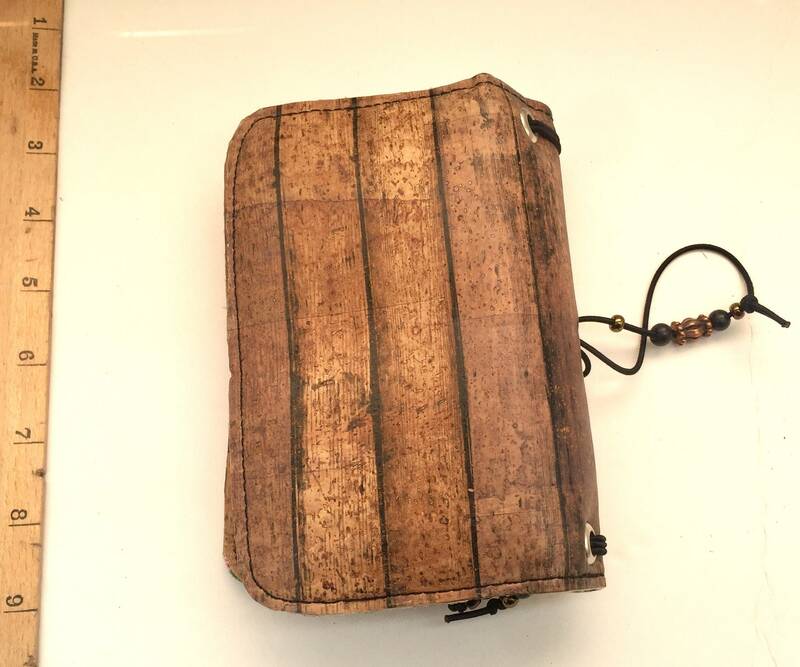 This is a OOAK cork journal that is printed to look like aged barn wood. Cork is a durable and stain resistant material that is beautiful, soft, and very pliable. The inside lining is a photorealistic cotton print featuring various cacti in bloom. 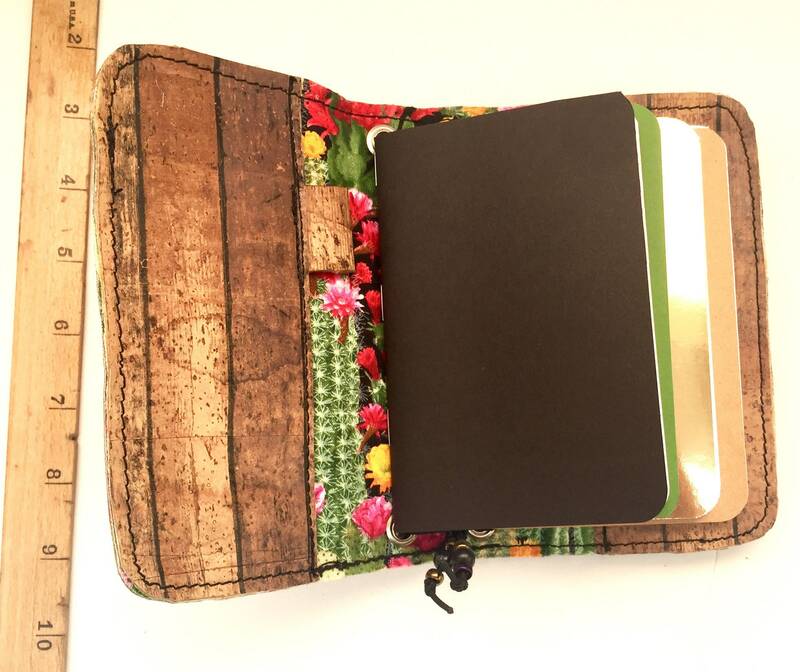 This petite notebook accommodates standard field notes sized notebook inserts of 5.5" x 3.5" and measures about 6"x 4" when full and closed. 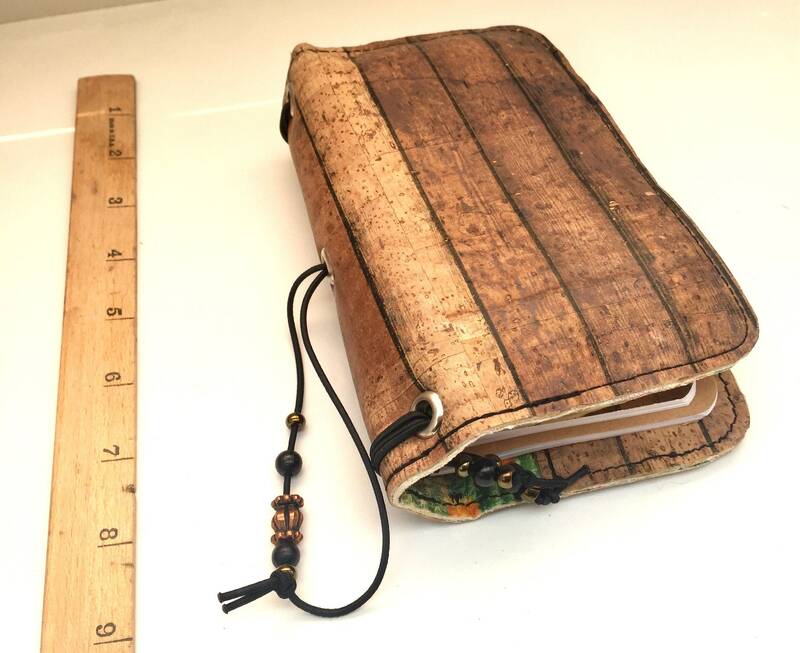 Durable elastic bands can hold up to 4 inserts slip pockets on the inside front and back covers are great for holding note books, stickers, receipts, or other flat items. 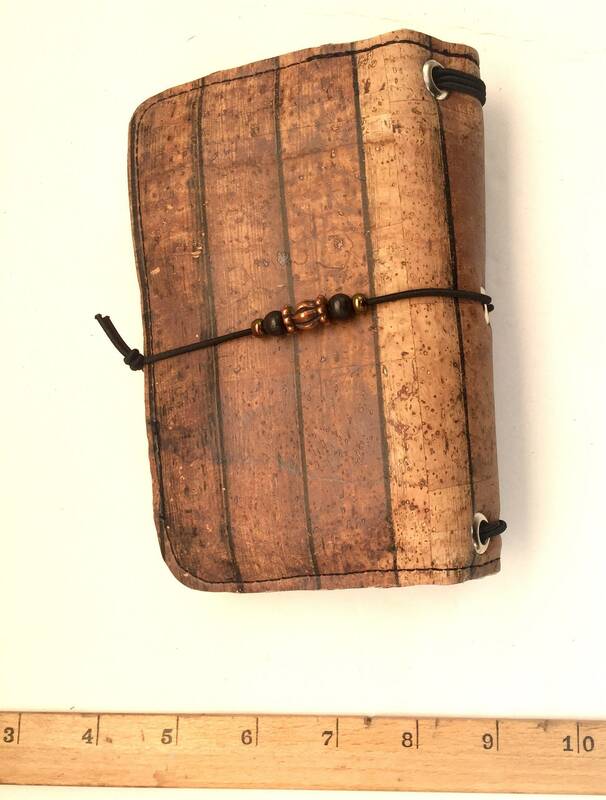 There is a convenient pen loop located in the inside front cover. 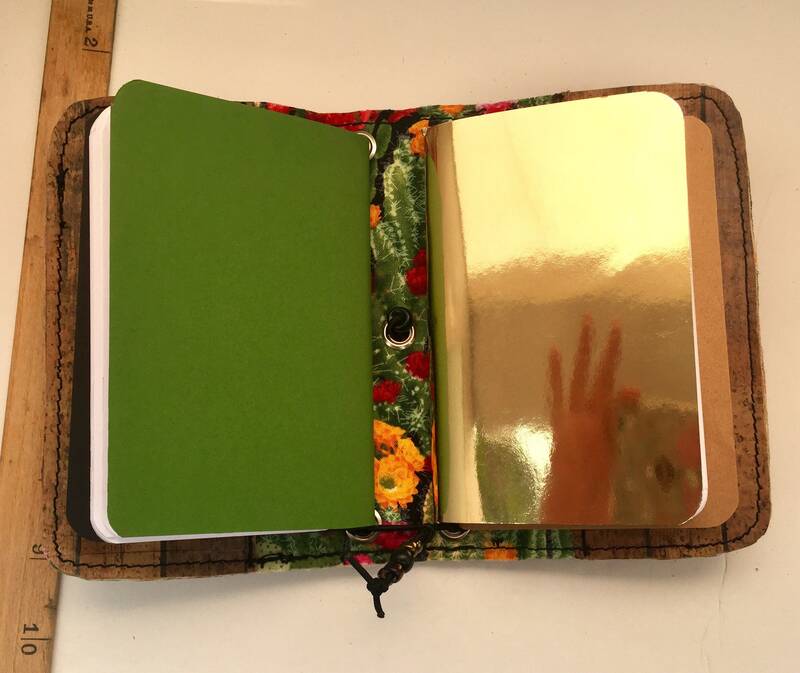 Four handmade inserts are included in coordinating colors, pages are blank. 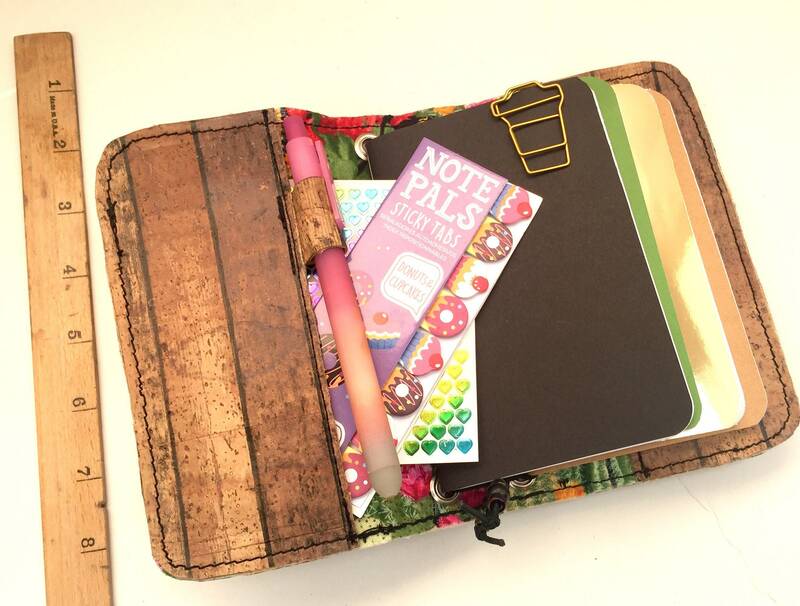 This is definitely a great little notebook to have on the go! Thank you for supporting an independent artist by shopping at DoodleStitchArt!